He then takes the next seven verses to talk about different seasons in our lives. As I write today, I find myself in a unique season of life. I am living in an intentional time of rest. And, I have to admit, I am not used to that. Woodbury Community Church, where I am blessed to serve as Senior Pastor, allows their pastor to take a three-month sabbatical every seven years. My sabbatical began on July 1st. The first month of my sabbatical is all about connecting with family, connecting with the Lord, experiencing rest, and trying new things. It’s also been a time of focusing on my health. A few weeks before my sabbatical began I started the online Bible Study course, The Lord’s Table at the Setting Captives Free’s web site. It’s been a great journey and I’ve lost 25 pounds so far. I took a break from my iPad, from social media, and other things that tend to take away from time doing the most important things. Our family spent time together in beautiful Colorado and at our home in Minnesota. I tried my hand at fly fishing, got rained out of a camping trip – and instead enjoyed a “camp-in,” went to a Colorado Rockies game, played a ton of mini-golf, connected with a cousin I hadn’t seen in years, went thrifting, ate out, climbed some beautiful rocks at a park in Colorado Springs, played some disc golf at a Colorado disc golf course, discovered the World Famous Penny Arcade – an incredible retro arcade in Manitou Springs, and I read paperback books – you know the kind with paper and binding and compelling covers with words that aren’t being read on a screen. I have also ridden lots of miles on bikes in Colorado and Minnesota. 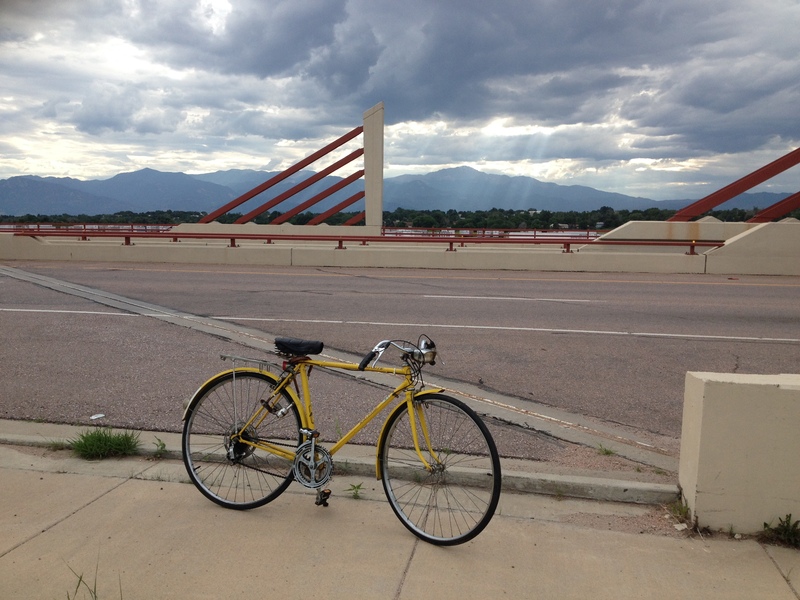 Vintage Raleigh bike ride in Colorado Springs with Pike’s Peak in background. It’s been a relaxing, rejuvenating, and renewing month. By far, my favorite activity has been building a Little Free Library with my father-in-law. He did most of the work, using the skills that God gave him as a wonderful craftsman. 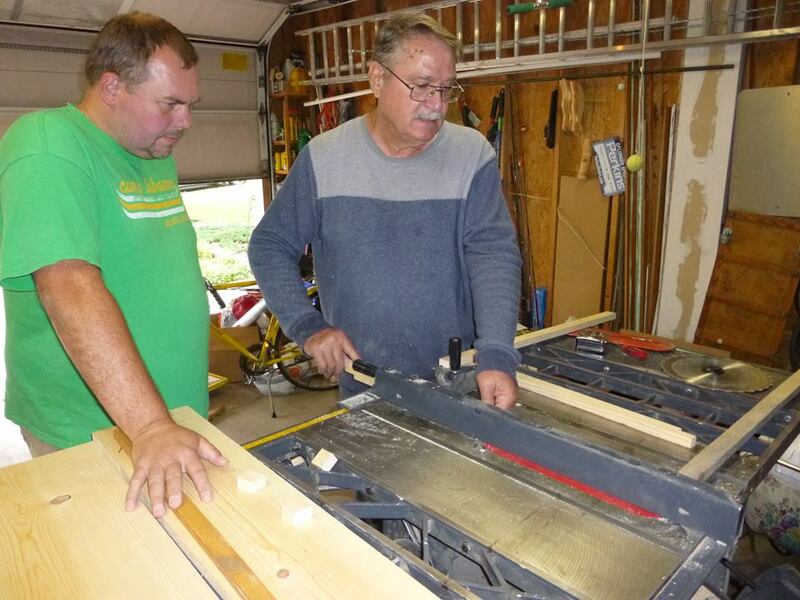 The hours spent in his garage working with him on that project will forever be some of my favorite memories of life. That project has led to hours of painting and then a fun gardening project in our front yard with my precious wife. 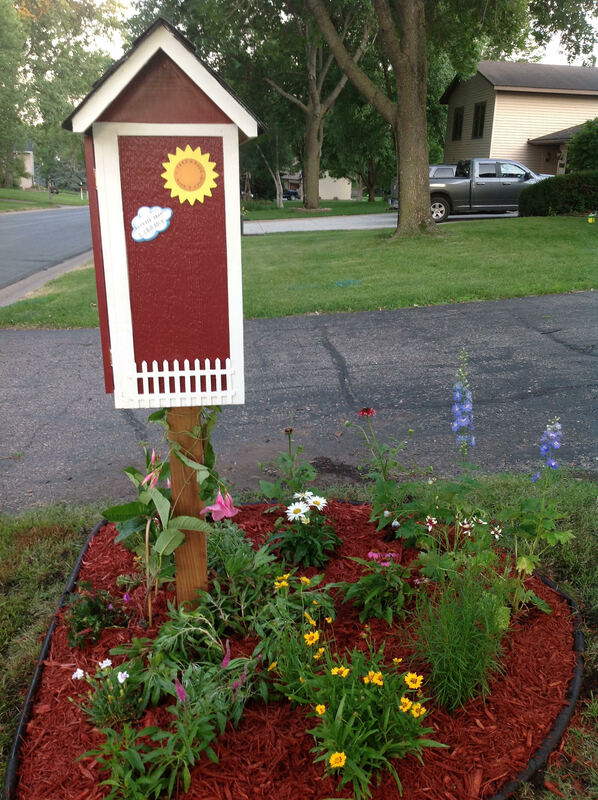 I have always wanted a Little Free Library. 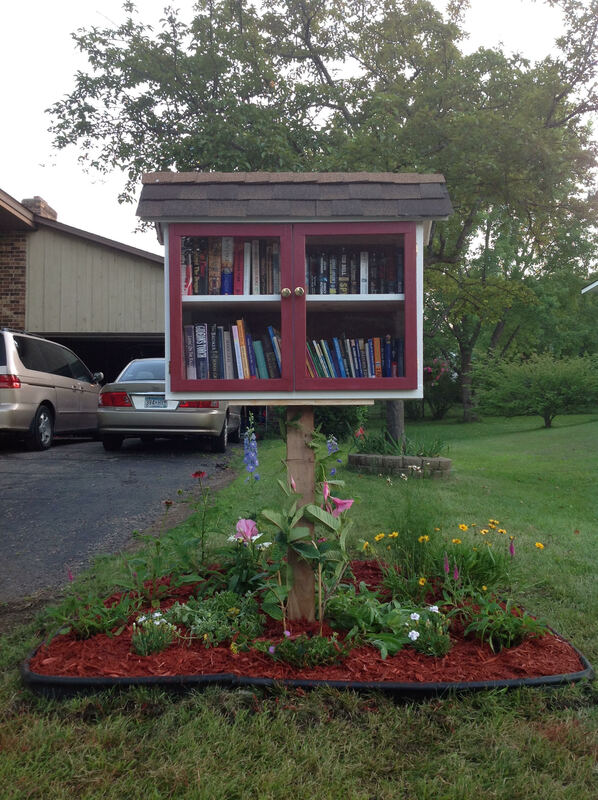 Now I go outside daily to see if anyone has visited our little library. 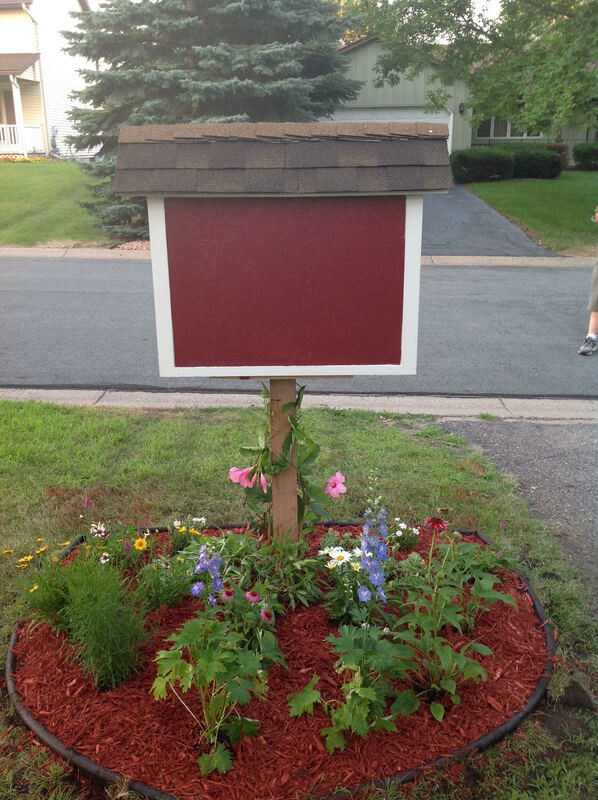 Back side of Little Free Library. There is a time for everything. This month has allowed me to rest. There have been sweet conversations, devotional times, reconnecting with friends, Chicago Style Pizza at Minneapolis’ new Giordano’s Restaurant, and dates with my wife. Over the course of the next couple of months the rest will continue, but there will be visits to multiple churches in Ohio, Tennessee, Oklahoma, Illinois and Minnesota. I’m looking forward to the next two months, but relishing in the season I am in right now. Now, if you’ll excuse me, my family is calling me to play a game, and then I think I’ll start reading another paperback book.